Multiple Myeloma is an incurable blood cancer. Do you try to cure it or control it? The blog from the New York Times written by Teresa Brown R.N. linked below summarizes the debate between aggressive conventional cancer treatments and less aggressive integrative treatment of cancer. Click the button on the right side of the page to watch a free webinar about the MM Cancer Coaching Program. How many newly diagnosed myeloma patients reading this would undergo an allogeneic transplant if your oncologist showed you how to manage your myeloma without high-dose chemotherapy, with few or no side effects, for the next 15 years? I have been a mm survivor for 25 years, the past 20 of which have been in complete remission. But don’t take my word for it. Consult with Dr. Brian Durie or Dr. James Berenson- both myeloma specialists. Read the studies on thalidomide, revlimid and velcade and then search for the information on the PeopleBeatingCancer.org site about antioxidant supplementation during chemotherapy and/or radiation to both increase the efficacy of chemo and reduce its toxicity reducing the severity of side effects. The patient that Nurse Brown refers to is a 30 year old male with multiple myeloma, an incurable blood cancer. 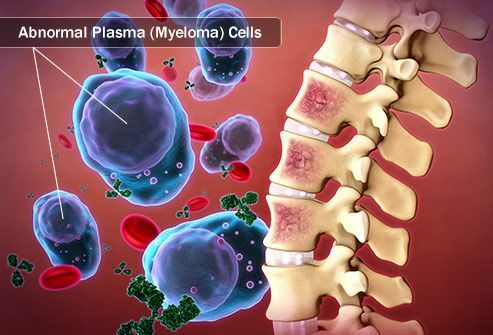 Nurse Brown represents what happens to a multiple myeloma patient undergoing an allogeneic bone marrow transplant. To learn more about integrative cancer therapies scroll down to the bottom of the page and post a comment or ask a question. “…This patient knows that I’m a writer, as well as a nurse, and he wanted his story told. So I decided, with his permission, to tell it. It’s not just his story, though; it’s the story of every patient who stands on the frontier of medicine, opting for a new treatment or risky procedure in hopes of saving his or her own life. The treatment in this case is an allogeneic stem cell transplant. It used to be called a bone marrow transplant, but the new name reflects a change in how the cells are harvested from donors. Instead of painfully extracting marrow from a thick bone, usually the hip, the process of stem cell collection now resembles a longer, more involved blood donation. That’s the technique, but it doesn’t capture the essence of the treatment. The hope with an “allo” transplant is to wipe out the patient’s bone marrow with chemotherapy and then transplant stem cells from a genetically matched donor into his or her body, leaving the patient disease-free, with functioning blood marrow and an intact immune system. That’s what’s supposed to happen, but the reality is messy and grim. Roughly half of patients do not survive the first year. Typically it’s not because their disease recurs; it’s due to complications resulting from the treatment. Some patients develop graft-versus-host disease, or GVHD, where the donor stem cells begin attacking specific organs — the liver, the gastrointestinal tract and skin. To control GVHD, which can sometimes be fatal, we give patients drugs to suppress the immune system, which then leaves them vulnerable to infection. And infection can kill you just as surely as cancer can. This was where my patient, married with a 2-year-old son, found himself. After a long course of treatment for aggressive multiple myeloma, he underwent an allogeneic transplant, which was offered as his only hope for a cure. But after the transplant, his new stem cells began attacking his liver. Then he struggled with rotavirus for three weeks. After his colon perforated, his surgery revealed that his colon had literally fallen apart inside him, and the doctors weren’t sure why. High-dose steroids can also erode the G.I. tract, so maybe the medicine we gave him to save his liver from the side effects of the transplant ultimately destroyed his colon. He had other problems, too. His liver function tests were always much too high, and his eyes had a yellowish tint from jaundice. The surgically-placed intravenous line that delivered his medications got infected with E. coli and had to be removed. The high doses of steroids he’d been on had left his bones so weak that he walked with a cane. His electrolytes — magnesium, potassium, phosphorous, calcium — stayed chronically low, putting him at risk of abnormal heart rhythms and profound muscle contractions. All this, and then his colon burst open, spilling the contents inside his abdomen. The good news was we had cured his cancer.